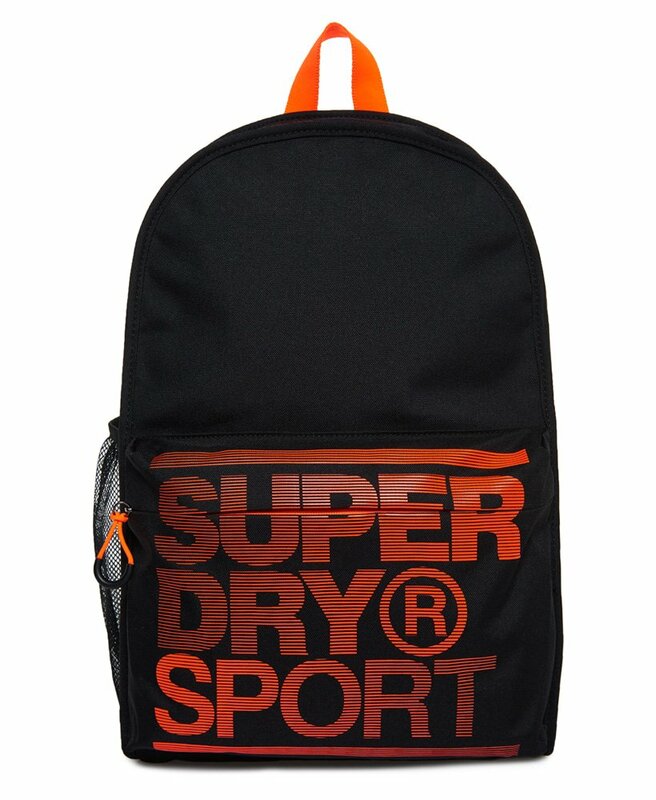 Superdry men’s Sport backpack. Store all of your essentials in this backpack this season, featuring a large inner compartment, a zipped outer compartment and an outer mesh pocket on one side. The backpack also comes with a grab top handle, two adjustable padded straps and a subtle Superdry Sport logo on the outer pocket. The Sport backpack is finished with a rubber Superdry Sport logo badge on one strap.